Base Notes : Bourbon Vanilia - Patchouli - Frankincense REVIEW (author: NebraskaLoves on Fragrantica) I get just a hint of the candied fruits. 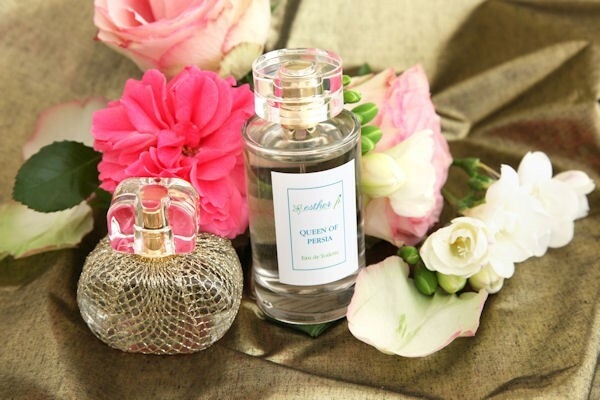 Queen of Persia persents mostly as a lush, deep, sweet and smoky oriental on my skin. It brings to mind a high-quality incense stick burning in a silver tray. It has a traditional oriental/Arabian (Persian?) aroma. Possibly unisex but this is one I think men will enjoy smelling on the women in their lives instead of wearing. Great scent for evenings, fall and winter but I might give it a whirl in warmer weather and see how those floral and fruity notes shake out.